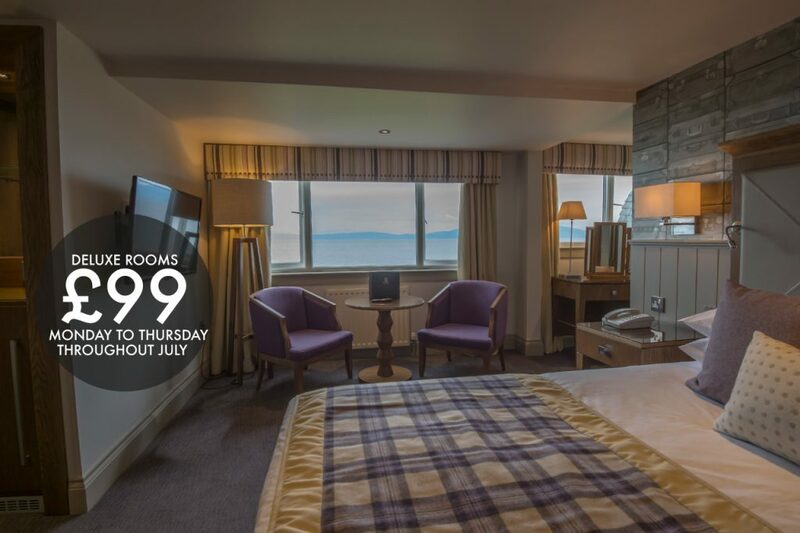 Throughout July you can enjoy the luxury of Seamill Hydro from Monday to Thursday for a very special set rate although some dates are excluded from this offer. Choose from any of our hotel rooms, other than the exclusive Glen Rosa and Glenashdale Suites and take advantage of this amazing special offer. The rates listed here are available on a limited basis and will be allocated on a first come first served basis, once thew allocated number of rooms are sold the room rate will increase so book early to get the best possible rates. The luxury hotel has been awarded four star status following investment of more than £12m in the last decade. Seamill Hydro enjoys stunning views across the coast of Ayrshire including the islands of Arran and Ailsa Craig, many of our rooms also offer these views. All of the rates listed below include breakfast and access to our leisure facilities including the heated indoor pool and large sea view gym. Standard Hotel Rooms £69 bed and breakfast for two sharing. Our standard rooms are perfect for a short break in Ayrshire, with large flat screen TV and en-suite bathroom there are all the comforts you would expect from a four star hotel but at an incredible price. If you are looking for an escape on a budget our standard rooms are perfect for you. Standard Rooms with Sea view or Superior Rooms £84 bed and breakfast for two sharing. For a touch more luxury or to take in the stunning view from your hotel bedroom you can upgrade your stay for just £15 per night more. Superior rooms are not available to book online so please call the hotel on 01294 822 217. 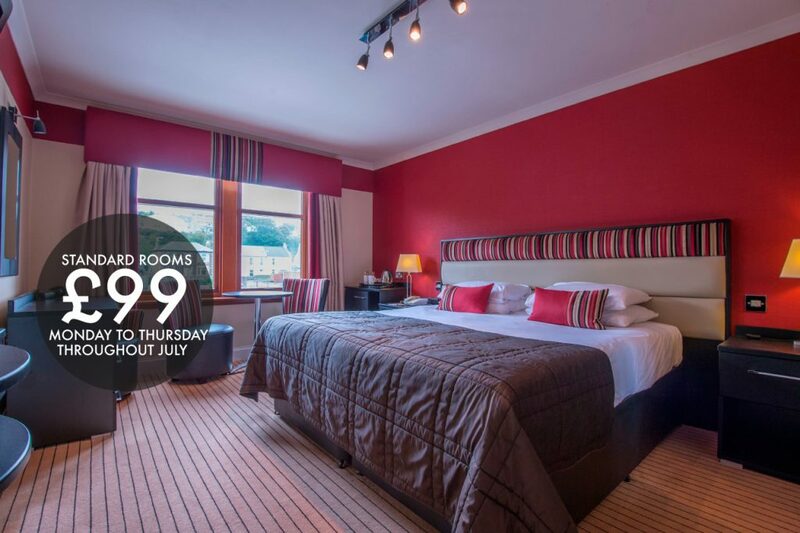 Executive Hotel Rooms, Deluxe Rooms and Suites for £99 bed and breakfast for two sharing. 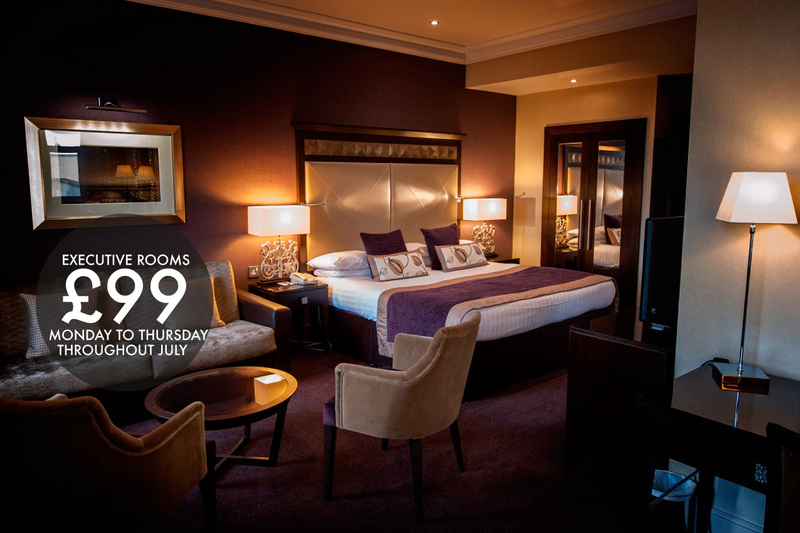 If you would like a little more space or a little more luxury you can choose from our executive rooms, deluxe hotel rooms or suites for just £99 per couple per night. Not all of these rooms types are available online so to book or for more information please call us on 01294 822 217. Signature Suites for £119 bed and breakfast for two sharing. For the ultimate indulgence there can be no choice other than our signature suites but with only four available you will have to be quick. Our signature suites are luxuriously finished, enjoy stunning sea views and an extravagant bathroom. If you are looking to treat that special person in your life but don’t want to break the bank you should take advantage of this very special midweek discount. Please note that this special is available throughout June but is subject to availability, certain dates are excluded and it can be withdrawn or limited at any time so please make your reservation quickly to avoid disappointment.